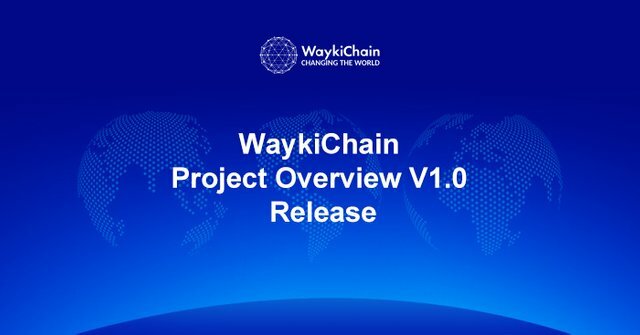 On January 5, 2019, WaykiChain has released the English language project overview for its DPoS based public chain. Established in Jan. 2017, WaykiChain is a 3rd generation public chain that utilizes a DPoS consensus mechanism. The blockchain can sustain transactional throughput above 1, 000 TPS in actual use. WaykiBet1.0, which was launched on WaykiChain on May 13, 2018, is the first ever prediction DApp based on a public chain with over 130,000 downloads; the DApp has now been updated to V2.5. While WaykiChain has a long-term goal of building a network of developers that provide innovative applications to the WaykiChain ecosystem, WaykiBet, for now, is the flagship application of WaykiChain and if fully leverages all that WaykiChain’s public chain has to offer. WaykiBet is a leap forward in the online stage of prediction markets and the utility of blockchain technology. By leveraging the blockchain, WaykiBet provides users to make direct prediction stakes and earn instant payouts, and all the underlying process is handled by advanced smart contracts. There’s no room for human error and there’s no space for corruption as the interactions are recorded on a transparent and immutable ledger. Moreover, as these smart contracts provide an immutable record, no market participants—not even the market provider—can change the terms. WaykiChain aims to carry this application to the forefront of blockchain utility. On May 13,2018 WaykiChain mainnet was officially launched, so developers and DApp operators are enabled to develop from the user-friendly template the team has published. WaykiChain aims to develop its underlying public chain technology into a large, decentralized ecosystem, so that numerous industries can build their own applications and services based on WaykiChain’s public chain.